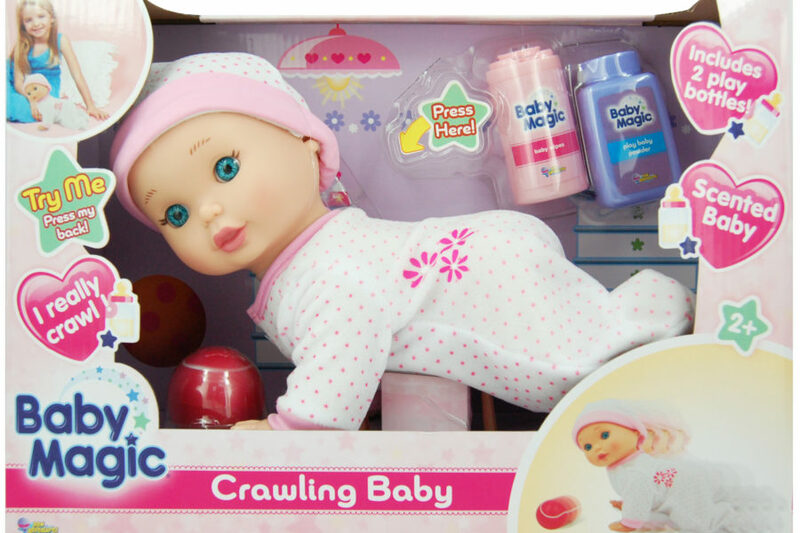 Baby Magic Crawling Baby is a 12 inch baby doll that will crawl on her own when you press her back. Place her ball in front of her to see her crawl to her toy. Includes Baby Powder scented baby doll with outfit, ball and 2 play bottles.